"Never lose hope...the butterfly is proof that beauty can emerge from something completely falling apart." Nadine is a qualified Person Centred Counsellor based in Eastbourne. Nadine’s passion for counselling has evolved from her own emotional experiences. This has given her insight into how powerful therapy can be when life is at its most challenging. 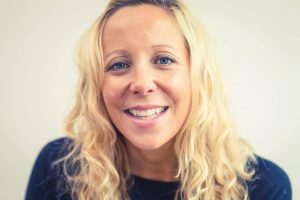 “My holistic approach to counselling considers the full spectrum of emotional, mental and physical symptoms of your internal conflict or distress – there is no right or wrong place to start. By creating a warm and welcoming space for you to speak freely and be heard with empathy, I will help you feel empowered to explore your deeper concerns and vulnerabilities without fear. The significance of the butterfly imagery in my work tells the story of the journey we all undertake on the path to emotional wholeness and wellbeing. More than just a journey of transformation and change, the butterfly’s story also speaks of how a fearless acceptance of our inner fragility is the key to unlocking the full potential of our true selves. Person Centred Counselling and any holistic talking therapy is not about fixing things that are broken or curing emotional illness. It’s about helping you to find your own healthier ways to explore the path to your full potential, challenging your emotions, and developing the tools to re-wire thought patterns that inhibit your capacity to heal. From there, we can work together to enable you to grow confidently into the richness of your life. Find out more about Nadine and her qualifications.